We created this guide for our users who also use Salesforce in their business processes. 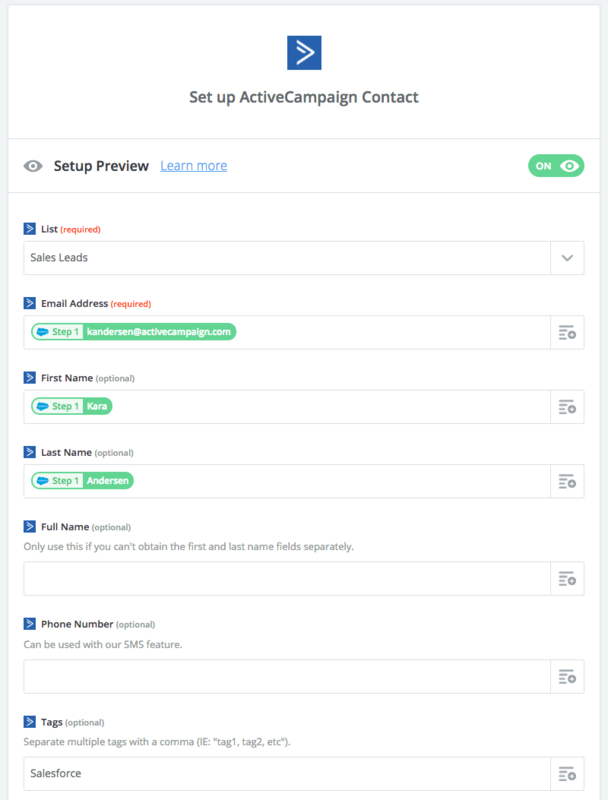 You will learn how to send contact data between ActiveCampaign and Salesforce, so you can use Salesforce as a CRM solution with all the added marketing functionality of ActiveCampaign. 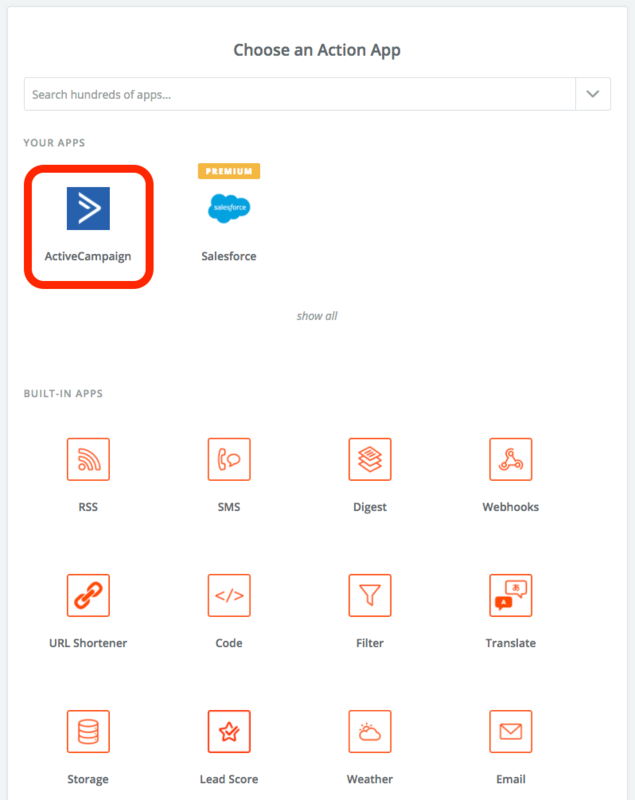 While the ActiveCampaign Deals CRM is one of our most powerful and easy-to-use features, we know that for some of our users, it makes sense to use Salesforce in addition. And since Salesforce doesn’t provide the extended functionality that ActiveCampaign does, we don’t want those users to miss out on the full marketing automation experience! That’s why it’s important for you to know how you can sync ActiveCampaign with your Salesforce account, allowing you to manage your leads and opportunities in Salesforce without sacrificing the ability to market to those contacts with the full power of ActiveCampaign. 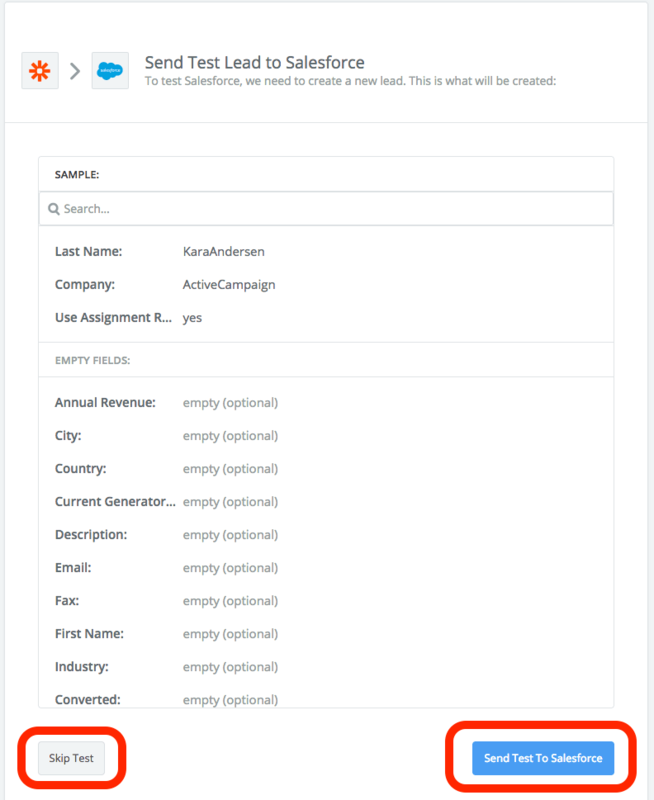 In this guide, we’ll show you how to use Zapier to send contact data between ActiveCampaign and Salesforce, so Salesforce can take care of your CRM needs while ActiveCampaign handles everything else, from collecting new contact details, to qualifying leads, to nurturing those leads. Note: To complete the following processes, you will need an account with ActiveCampaign, Salesforce and Zapier (paid version). If using Salesforce as your primary CRM, we recommend using ActiveCampaign to gather contact information and send qualified leads to Salesforce. For example, you can create an ActiveCampaign form to collect new contact information in our platform. 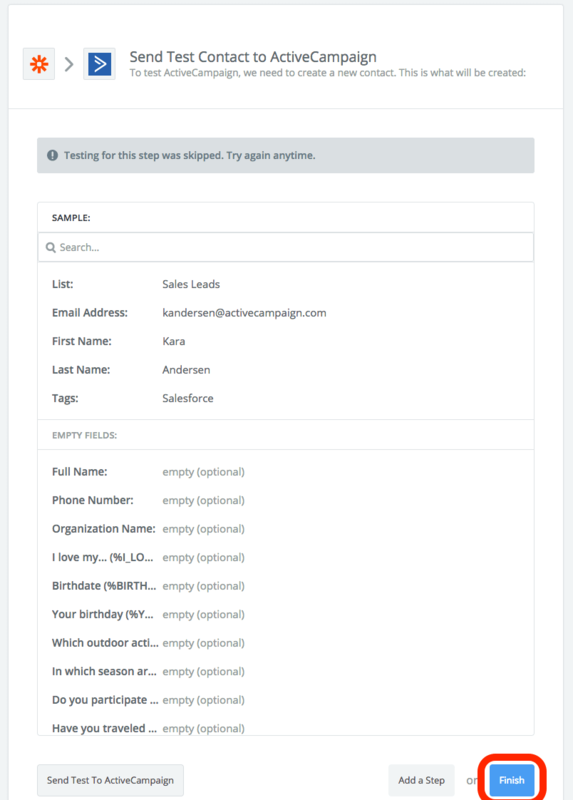 Then, use our lead scoring feature to identify contacts who are hot leads, and send their information to Salesforce to be added as new leads or opportunities. To transfer contact details to Salesforce, you can create an automation that uses a webhook to send the relevant data. Your automation is now complete. Don’t forget to set it to Active! 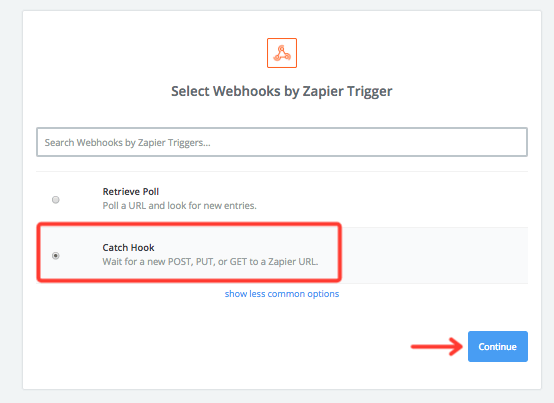 You’ll also need to add a test contact to it to ensure the automation is working, then test your webhook in Zapier (see steps 16-20 at this link for help). 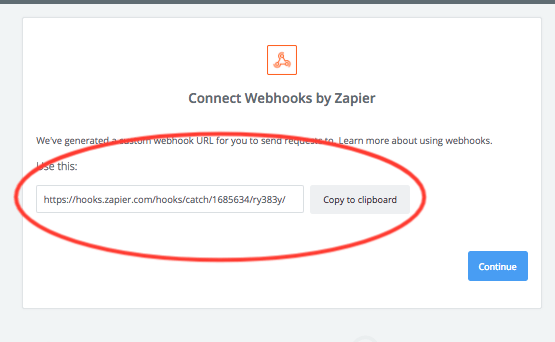 Now that you’ve created your webhook and confirmed that it’s working, you’re ready to finish setting up your Zap in Zapier. 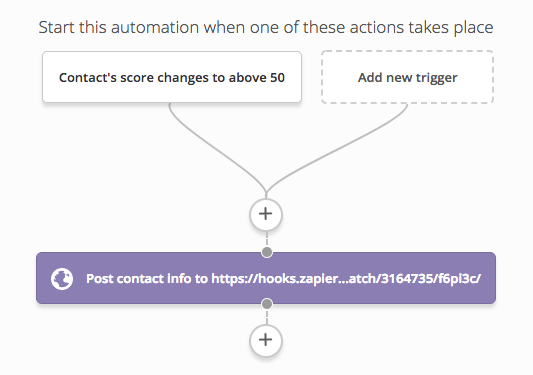 Just like a start trigger for an automation in ActiveCampaign, the webhook you just created serves as the trigger for your Zap. 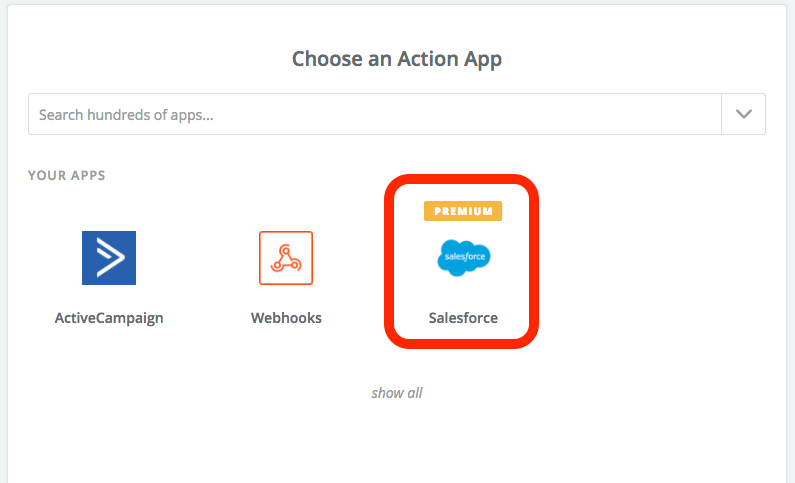 Now you need to add an action that sends the data from the webhook into Salesforce. Make sure you have the correct Salesforce account selected if you have multiple accounts. Then click the Save + Continue button. 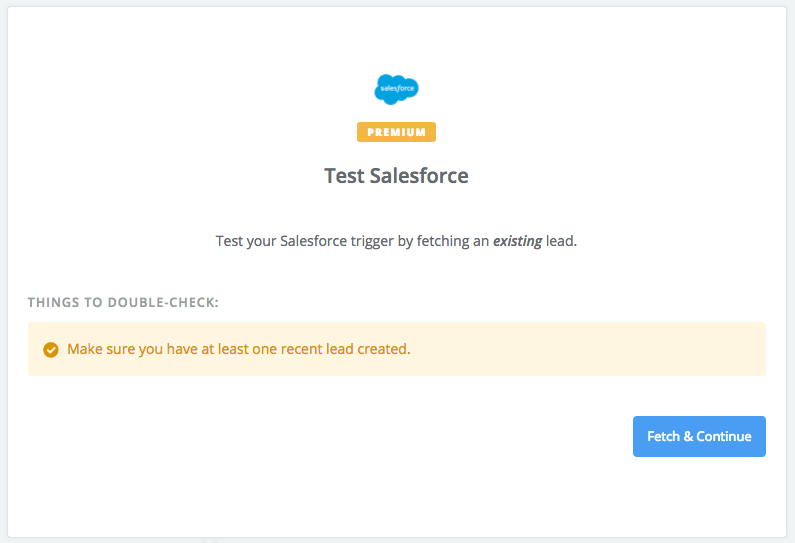 Match the required Last Name and Company information from the webhook (pulled from ActiveCampaign) to the appropriate fields, as well as any other contact details you’d like sent to Salesforce. Once you click the Finish button, give your Zap a name and turn it on to complete the process. 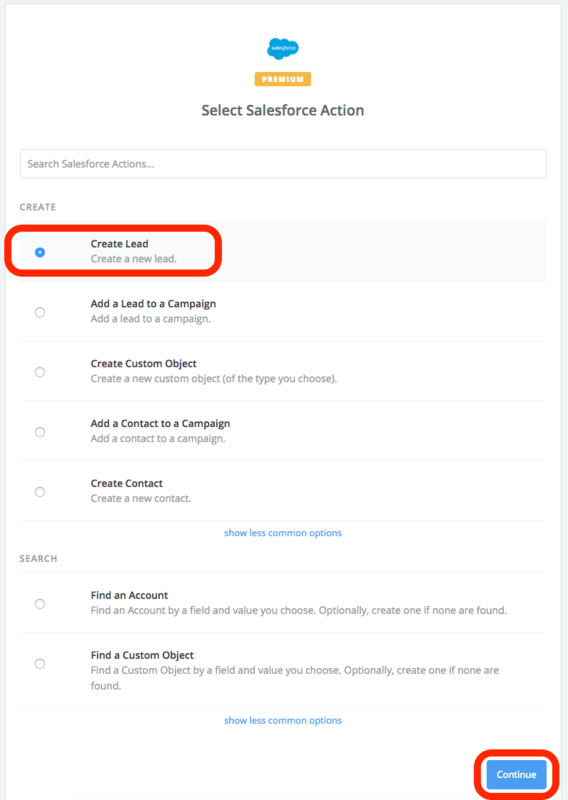 While your lead/opportunity information is managed in Salesforce, you may want to send this data to ActiveCampaign in order to engage your leads in a nurturing sequence. This way, you can ensure that you’re targeting all new leads/opportunities with your marketing, and engaging them through the sales process. 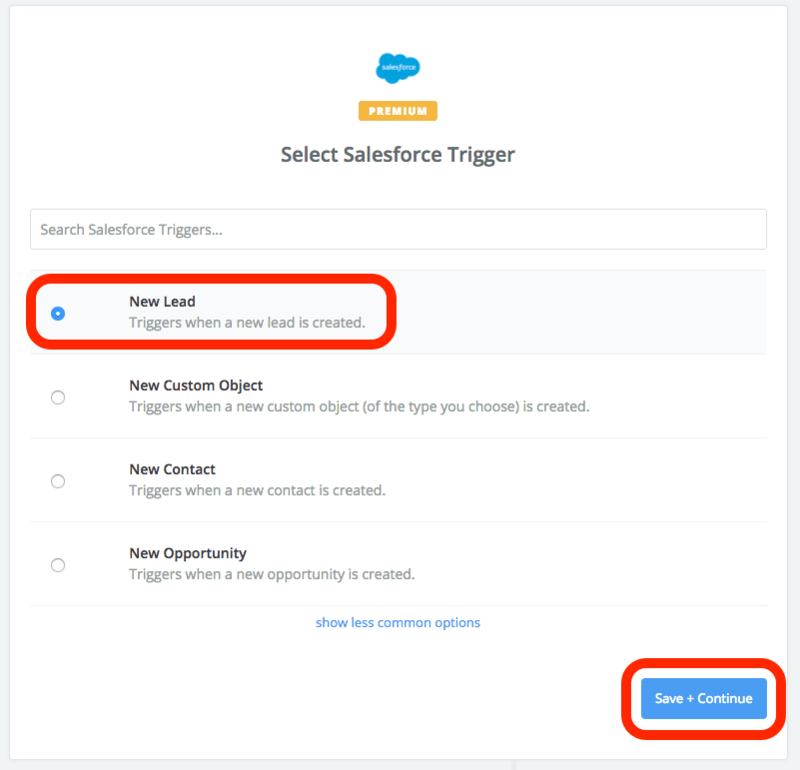 To do this, you can create another Zap that is triggered by a new lead in Salesforce, that then creates or updates a contact in ActiveCampaign. 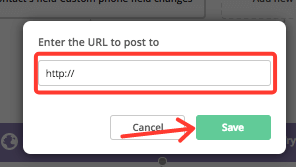 Again, if you have multiple ActiveCampaign accounts, make sure you have the correct account selected before clicking the Save + Continue button. 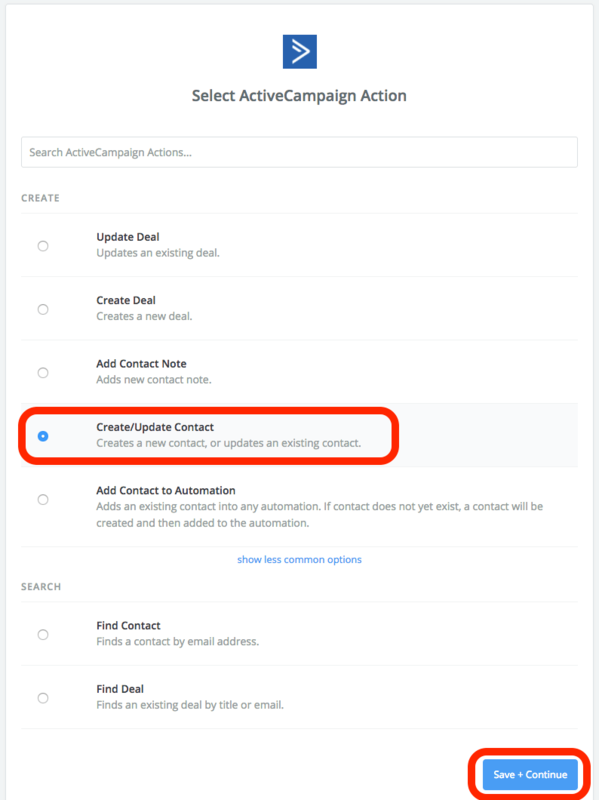 For example, you could create an ActiveCampaign list called “New Leads,” and apply a “Salesforce” tag to help you track which contacts came from Salesforce as leads. Click the Finish button to complete the Zap, name it, and turn it on. 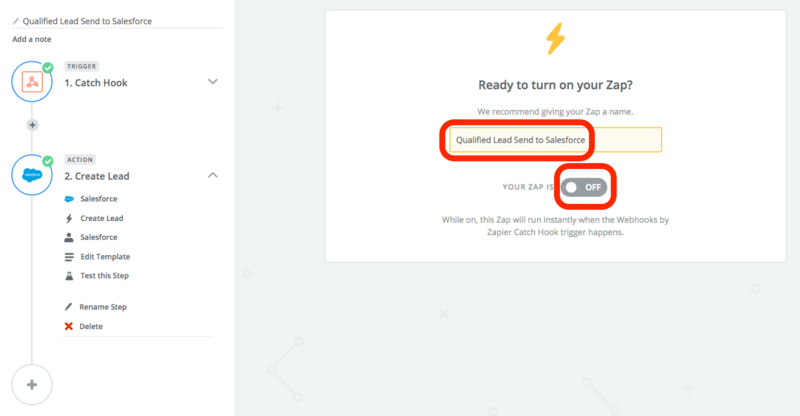 Now, new leads from Salesforce will be added to your “Sales Leads” list in ActiveCampaign via a Zap. From here, you can use an ActiveCampaign automation to begin a nurturing sequence whenever a new contact is added to that list. 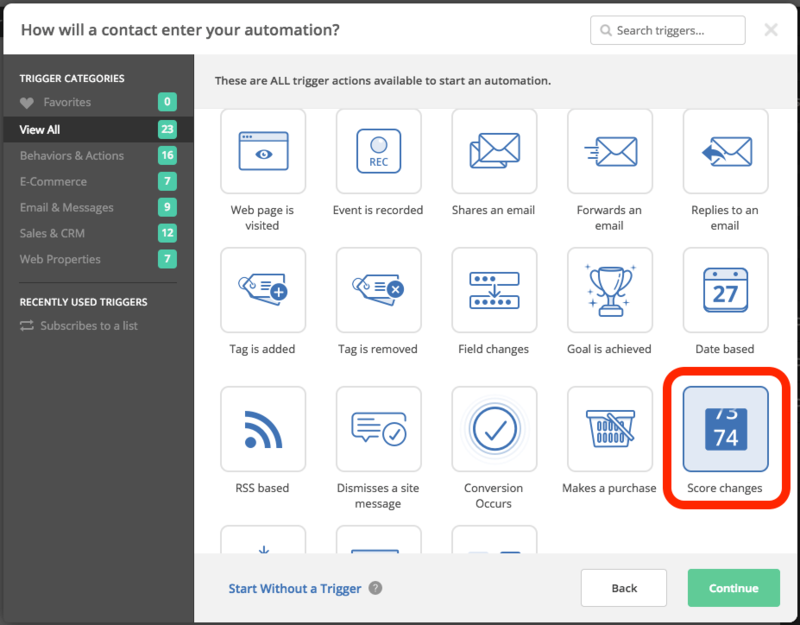 To pull contacts who are coming from Salesforce into your automation, configure it so it is triggered whenever a contact subscribes to the same list you’re adding Salesforce leads to via Zapier. 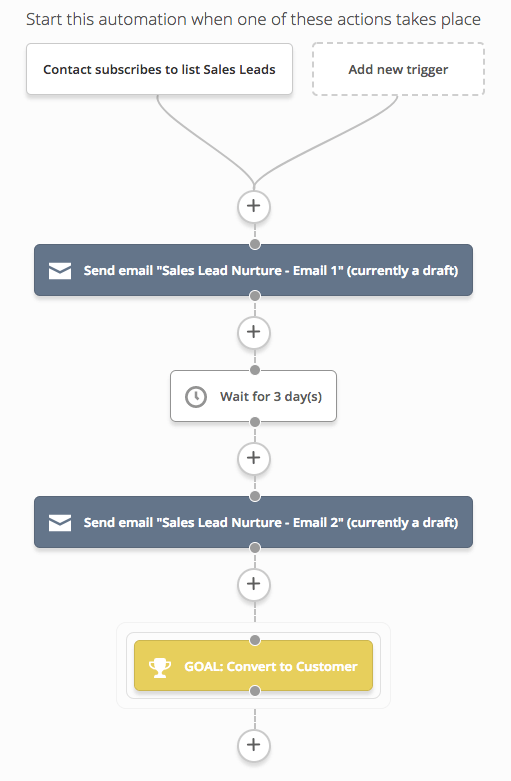 For more on building automations designed to engage and nurture leads, read up on the in-platform automation recipes we offer (parts 1, 2 and 3), and visit the ActiveCampaign Marketplace. 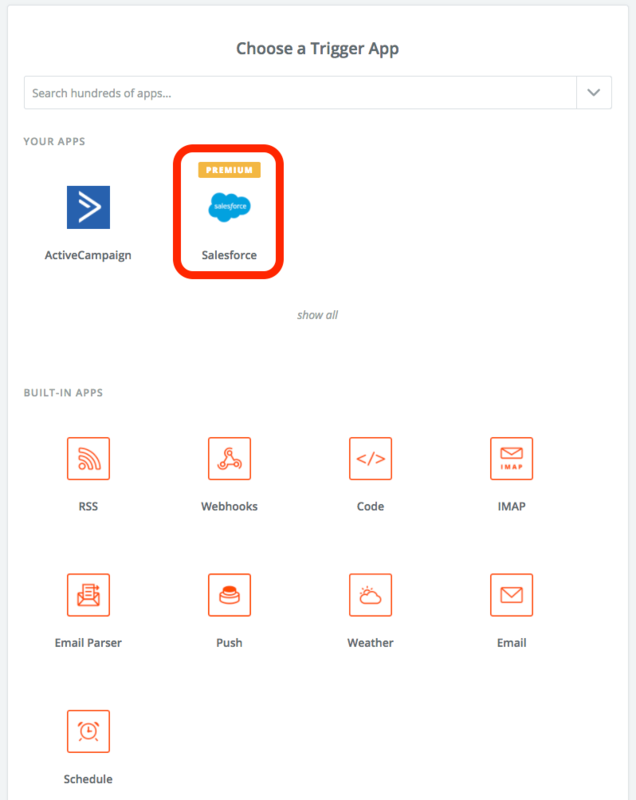 We showed you an example of how you can use Zapier to sync ActiveCampaign and Salesforce, but you can also accomplish a sync between the two using PieSync. 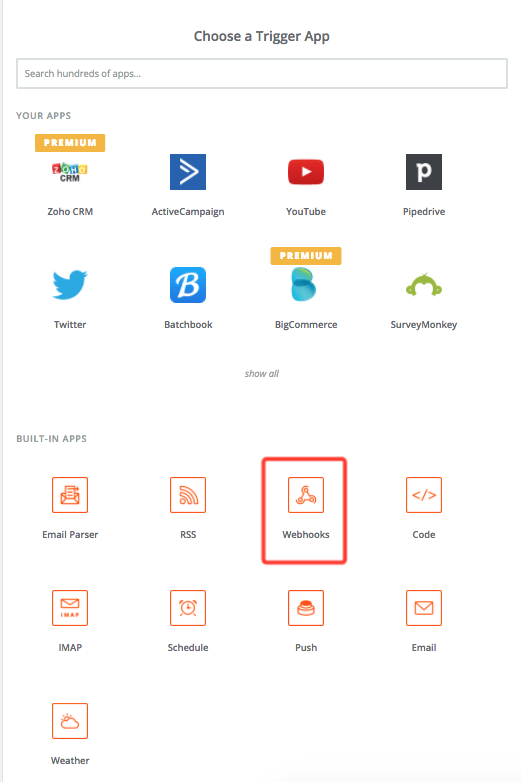 To learn more about using webhooks, read our Help articles on working with webhooks and sending a webhook in an automation.